The 15-year-old and his grandfather Barry Hearnshaw, 72, died after a car and a train collided at the crossing in Emms Lane on Saturday morning. 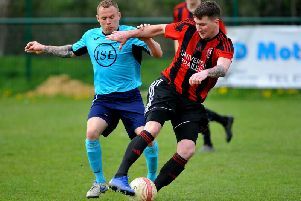 Will, a student at Tanbridge House School, was well-know in sporting circles as an up-and-coming talent, who had played at Billingshurst Youth Football Club, before joining Horsham Sparrows in 2017. The pair were reportedly heading to football on the morning of the tragedy and clubs and the Sussex FA have led tributes. Will had made ten appearances for a Sparrows side that sit top of their division in the Horsham & District Youth Football League this season, scoring twice, and twice being awarded the player of the match. Horsham Sparrows chairman, David Owen, said: “Will was a highly energetic player; he really loved his football and was an integral part of his team. A Sussex FA spokesman added: “It is with great sadness that the Sussex County FA were recently informed of the death of Horsham Sparrows under-16s player Will Hallett. “The Sussex County FA would like to extend their thoughts and prayers to Will’s family, friends and team-mates at this very difficult and sad time. Barry and Will were both avid Chelsea fans and an online petition has been set up to see them remembered by the Premier League outfit - it has reached more than 5,000 signatures in less than a day. A minute’s silence was held on Saturday afternoon ahead a fixture between Barns Green, who Will had been heavily involved with, and Billingshurst in the West Sussex Football League. Will’s former boyhood club Billingshurst added to the tributes. They said: “Everyone at the club send their heartfelt condolences to all Will Hallett’s family and friends at this difficult time.